Gilles Simon won the first set in both of their previous meetings at the Queens Club (2011) and St.Petersburg (2011), but Adrian Mannarino ended up winning on both occasions. Simon has won twice as many matches as Mannarino on clay, but he needs a massive improvement on his serve (compared to what he produced at Marrakech) to avoid a first-round exit this week. 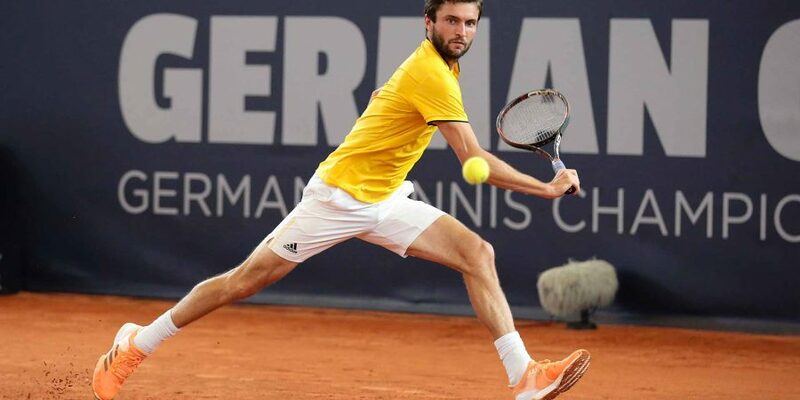 Playing his first clay tournament of the season in Marrakech last week, Gilles Simon progressed to the quarterfinal despite producing three unconvincing performances, against Benoit Paire (W), Roberto Carballes Baena (W) and Richard Gasquet (L). Gilles Simon played seven sets of tennis in Marrakech last week, spent six hours on court and was broken 15 times. Nevertheless, it was a much-needed run for the former World #6, who has failed to win back-to-back matches since winning the title at ATP Pune in the first week of January 2018. Except 2010, Simon has entered Monte Carlo every season since 2005 and making a semifinal appearance once in 2012 is his best result in this event. He managed to win his first-round match here in his recent three visits, in 2015 (Benjamin Balleret), 2016 (Viktor Troicki) and 2017 (Malek Jaziri). Adrian Mannarino got a first-round bye in the recently concluded Masters events at the Indian Wells and Miami, but he could not progress beyond the third round in both the tournaments, losing to Jeremy Chardy (R3, Indian Wells) and Steve Johnson (R2, Miami). Unlike Gilles Simon (17/28), Adrian Mannarino enjoyed a fine season in 2017 by winning nearly 50 matches (49/27) and two titles, at Noumea Challenger (hard) and Quimper Challenger (indoor hard). But the Frenchman has so far failed to replicate those performances and results in 2018. Mannarino’s previous match on clay ended in a straight set defeat at the hands of Horacio Zeballos in the first round of the French Open 2017. He won four matches (as a qualifier) here at Monte Carlo last season before retiring against Lucas Pouille in the round of 16.